1. Coumarin sulfonamides derivatives as potent and selective COX-2 inhibitors with efficacy in suppressing cancer proliferation and metastasis. 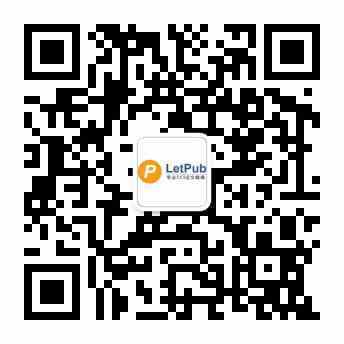 Author: Lu XY, Wang ZC, Ren SZ, Shen FQ, Man RJ, Zhu HL. Journal: Bioorg Med Chem Lett. 2016 Aug 1;26(15):3491-8. doi: 10.1016/j.bmcl.2016.06.037. Epub 2016 Jun 16. 2. Design, synthesis and biological evaluation of novel 5-fluoro-1H-benzimidazole-4-carboxamide derivatives as potent PARP-1 inhibitors. Author: Wang J, Wang X, Li H, Ji D, Li Y, Xu Y, Zhu Q. 3. Structural modification of luteolin from Flos Chrysanthemi leads to increased tumor cell growth inhibitory activity. Author: Yang C, Chen H, Lu S, Zhang M, Tian W, Wang M, Zhang L, Song Y, Shen A, Zhou Y, Zhu J, Zheng C.
Journal: Bioorg Med Chem Lett. 2016 Aug 1;26(15):3464-7. doi: 10.1016/j.bmcl.2016.06.043. Epub 2016 Jun 16. 4. Design, synthesis and anticancer activity of novel hybrid compounds between benzofuran and N-aryl piperazine. Author: Mao ZW, Zheng X, Lin YP, Hu CY, Wang XL, Wan CP, Rao GX. Journal: Bioorg Med Chem Lett. 2016 Aug 1;26(15):3421-4. doi: 10.1016/j.bmcl.2016.06.055. Epub 2016 Jun 21. 5. Anti-inflammatory polyphenol constituents derived from Cissus pteroclada Hayata. Author: Li YJ, Xu CT, Lin DD, Qin JK, Ye GJ, Deng QH. Journal: Bioorg Med Chem Lett. 2016 Aug 1;26(15):3425-8. doi: 10.1016/j.bmcl.2016.06.054. Epub 2016 Jun 21. 6. Discovery of SHR1977: A highly potent and selective ROMK inhibitor. Author: Li X, Zhang Y, Chen Y, He W, Wan H, Zhang L, Hu Q, Feng J, Yuan J, Dong Q, Cao G, Zhang L, He F, Bai C, Tao W.
7. Pharmacological protection of mitochondrial function mitigates acute limb ischemia/reperfusion injury. Author: Bi W, Bi Y, Gao X, Yan X, Zhang Y, Harris J, Legalley TD, Gibson KM, Bi L.
8. Aryl or heteroaryl substituted aminal derivatives of HCV NS5A inhibitor MK-8742. Author: Yu W, Coburn CA, Nair AG, Wong M, Rosenblum SB, Zhou G, Dwyer MP, Tong L, Hu B, Zhong B, Hao J, Ji T, Zan S, Kim SH, Zeng Q, Selyutin O, Chen L, Masse F, Agrawal S, Liu R, Xia E, Zhai Y, Curry S, McMonagle P, Ingravallo P, Asante-Appiah E, Lin M, Kozlowski JA. Journal: Bioorg Med Chem Lett. 2016 Aug 1;26(15):3414-20. doi: 10.1016/j.bmcl.2016.06.056. Epub 2016 Jun 22. 9. Synthesis and biological evaluation of N9-substituted harmine derivatives as potential anticancer agents. Author: Du H, Tian S, Chen J, Gu H, Li N, Wang J. 10. Discovery of novel dihydrobenzofuran cyclopropane carboxylic acid based calcium sensing receptor antagonists for the treatment of osteoporosis. Author: Liang GB, Zhou C, Huo X, Wang H, Yang X, Huang S, Wang H, Wilkinson H, Luo L, Tang W, Sutton D, Li H, Zaller D, Meinke PT.